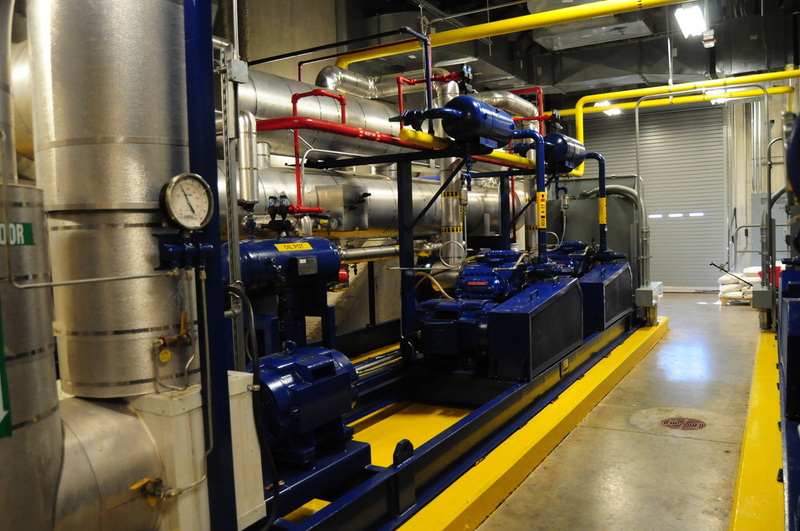 The ice plant helps control the temperature and levels of the hockey rink. 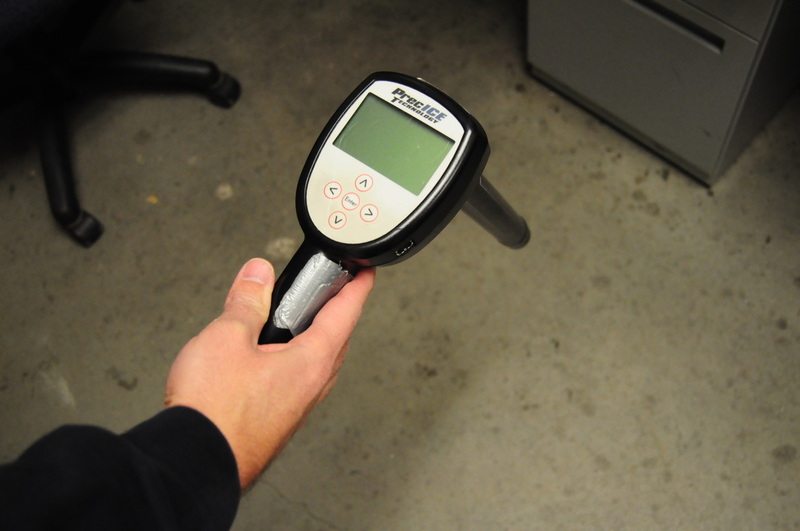 Depth meters are used to measure the thickness of the ice. 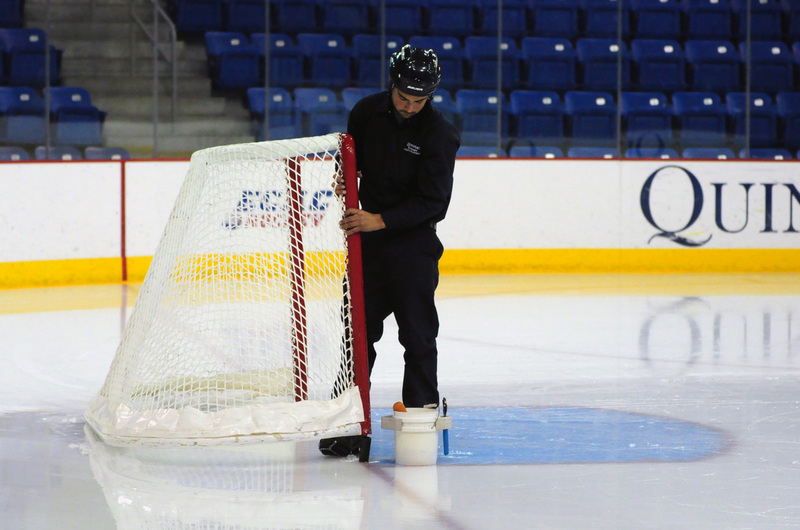 A groundskeeper adjusts the net during an intermission of an ice hockey game. Senior assistant captain Connor Jones skates by two groundskeepers during a stoppage of play. 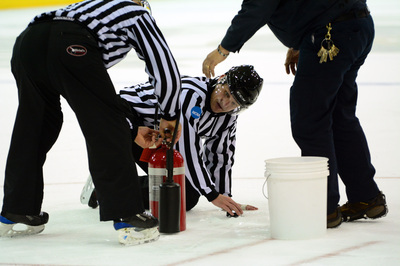 Referees and groundskeepers work together to repair a hole in the ice during an ice hockey game. 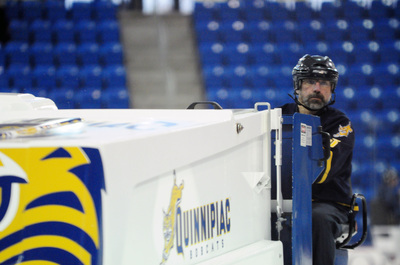 Glen Gerrity drives the zamboni during the first intermission of an ice hockey game. 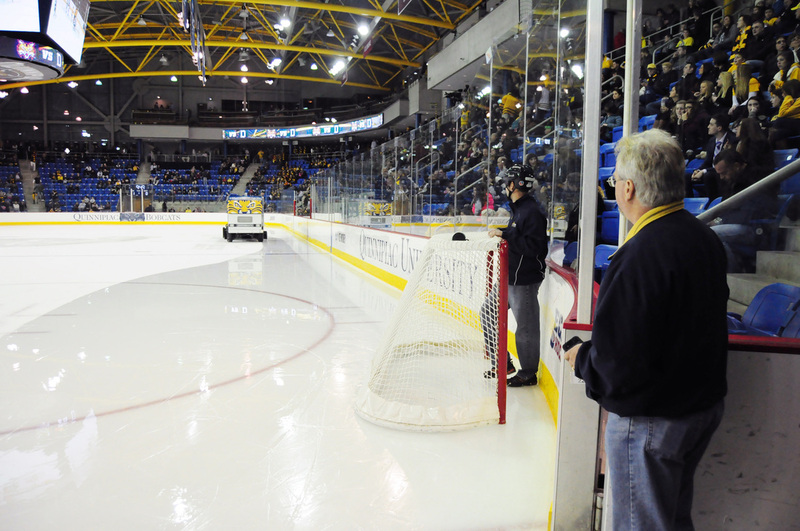 Dave Wescott and Jon Terry watch from the side as a zamboni helps clean the ice during an intermission. 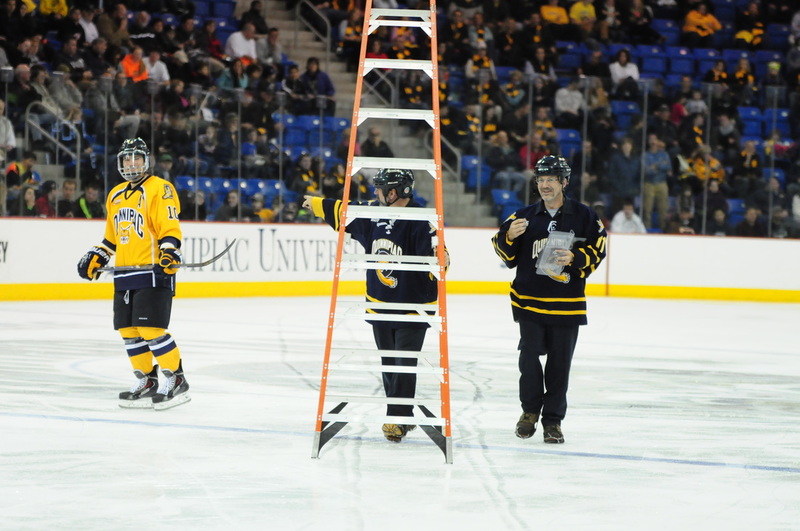 Jon Terry and Dave Wescott talk during a men's ice hockey game.